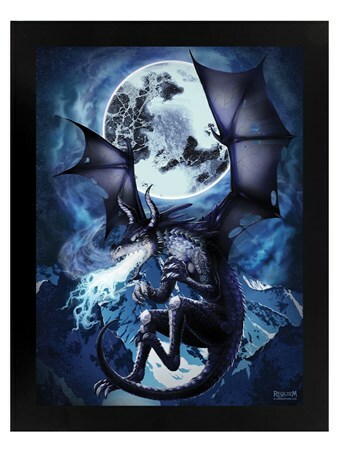 Spouting blue fire, this winged nightmare hovers high above, illuminated by the beams of a full moon. 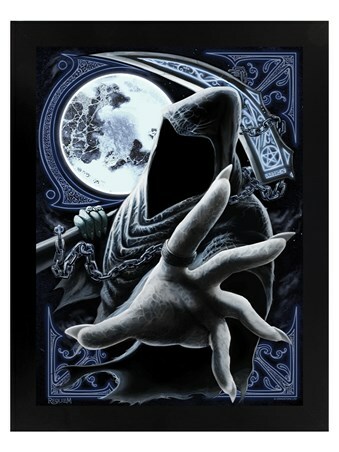 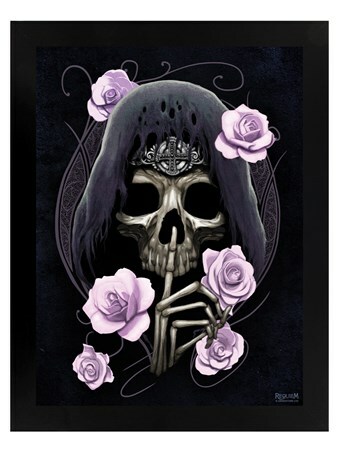 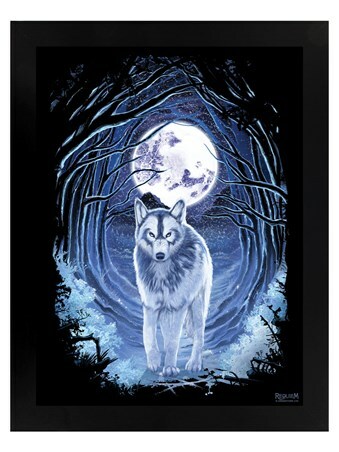 If you're truly fearless and a fan of all things grisly and mystical, then this framed print from Requiem Collective, was made especially with you in mind. 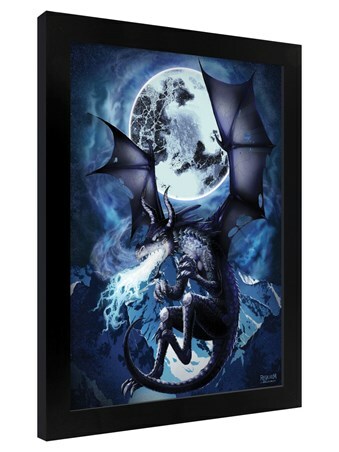 Deter any unwelcome visitor from your door with the help of our deadly dragon! 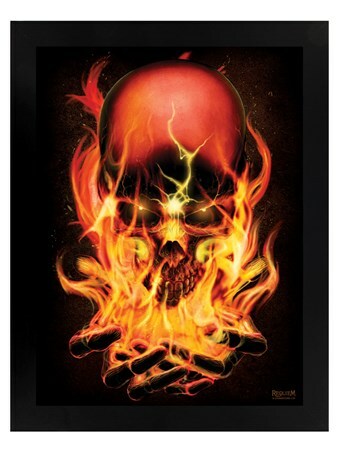 High quality, framed Wyvern Flames, Requiem Collective framed mini poster with a bespoke frame by our custom framing service.